Olivia at Tapestry on the Fringe, Thursday March 17! Join us for an evening of tapas, sangria and flamenco. Olivia with The Spirit of Flamenco at Malaga Tapas Restaurant on W. 2nd St., Austin, TX. 7:45pm, no cover . 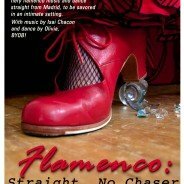 A unique, intimate and intense music and dance experience featuring the Flamencura Cuadro, photography exhibit by Julio Chacon, and free sangria! $13 cover charge. 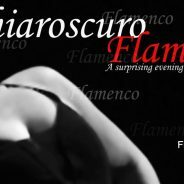 Space is limited, reservations recommended at info@flamencura.org. Doors open at 9:00pm.